Defying isolation in the UN Security Council, Russia has vetoed a resolution for an end to its bombing — alongside President Assad’s warplanes — of Syria’s largest city Aleppo. 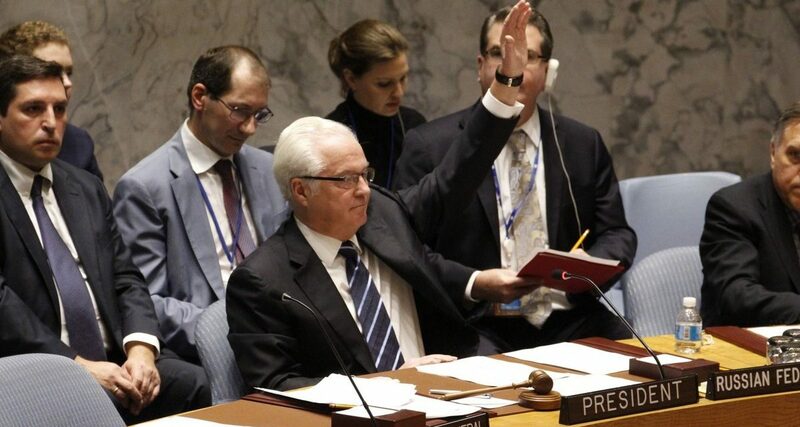 Moscow’s Ambassador Vitaly Churkin cast the “No” vote against a Franco-Spanish resolution calling for a ceasefire and aid and for a suspension of military flights. Even China, which joined Russia on four previous occasions to block resolutions on Syria, abstained rather than use its veto. Of the 15 Council members, only Venezeula accompanied Russia, while Angola also abstained. France had said that it was presenting the resolution so that, even if Russia cast its veto as expected, it would highlight Moscow’s complicity in war crimes by the Assad regime. If we don’t so something, this town will soon just be in ruins and will remain in history as a town in which the inhabitants were abandoned to their executioners. 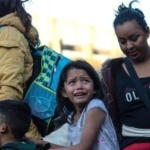 If the international community does not wake up it will share the responsibility. “Russia has become one of the chief purveyors of terror in Aleppo, using tactics more commonly associated with thugs than governments,” said the US Deputy Ambassador David Pressman. He said Russia was “intent on allowing the killing to continue and, indeed, participating in carrying it out” and that what was needed from Moscow was “less talk and more action from them to stop the slaughter”. He said that the French measure was “hastily put together” and was “not designed to make progress…but to cause a Russian veto”. “I cannot possibly see how we can let this resolution pass,” he concluded. He claimed that France and Spain had drafted the resolution because of “nostalgia over their colonial past”. After vetoing the Franco-Spanish resolution, Russia tabled its own draft, focusing on a separation of rebels from the jihadists of Jabhat Fatah al-Sham — even though JFS, formerly known as Jabhat al-Nusra, has no significant presence in the city. Moscow’s alternative received only four votes in favor. China eased the blow of its abstention on the Franco-Spanish resolution by giving support to Moscow’s version. Ambassador Liu Jieyi said some of the content of the French draft “does not reflect the full respect for the sovereignty, independence, unification and territorial integrity of Syria”, while the content of the Russian draft did. Reports are circulating — from both pro-regime and pro-opposition accounts — that the Syrian military, pro-Assad militia, and foreign allies have regained more territory in northern Hama Province. The biggest success is the recapture of the fortified village of Ma’an, which rebels took in late September. The pro-Assad forces are also said to have moved into al-Kabariyeh. The regime and its allies have taken advantage of in-fighting between rebel factions and the jihadists of Jund al-Aqsa (see below), regaining several villages of Friday before their breakthrough today. Jabhat Fatah al-Sham, formerly Jabhat al-Nusra, has declared a resolution of rebel in-fighting which threatened the success of an offensive in northern Hama Province. JFS/Nusra intervened earlier this week in the escalating, deadly clashes between rebel factions, notably Ahrar al-Sham, and the jihadists of Jund al-Aqsa. The fighting began when Jund al-Aqsa abducted a leading Ahrar al-Sham fighter, shooting his wife and brother. The jihadists then killed a number of Ahrar al-Sham members. JFS/Nusra announced on Sunday that Jund al-Aqsa fighters had pledged allegiance to it, putting JFS/Nusra in primary position to negotiate a resolution with Ahrar al-Sham. 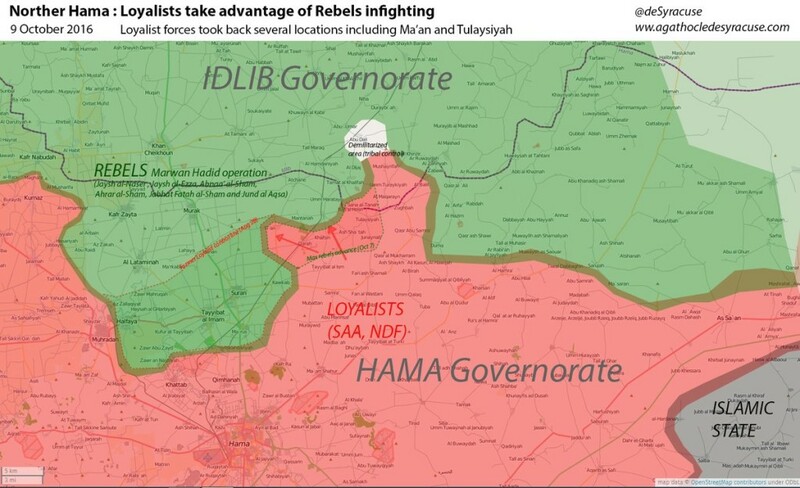 The in-fighting hindered a rebel offensive which had gained a series of towns and villages across northern Hama Province since late August, closing with 10 km (6 miles) of Hama city. On Friday, pro-Assad forces regained a series of villages along the front and attacked Ma’ardas, captured by rebels in early September. The Russian “reconciliation center” in Syria said on Saturday that the Islamic State fired a missile at an MI-8 helicopter. The center said ISIS used a portable MANPADS to attack, but the pilot dodged the missile and there were no injuries among the soldiers on the helicopter. The statement asserted that the Islamic State took control of two MANPADS after they were delivered from Iraq to rebels advancing towards Hama city, in an offensive that began in late August. The center did not explain how ISIS, who are battling rebels across Syria, had managed to obtain the missiles. PreviousBBC Radio: Is Trump Finished?